I have been feeling quite anxious recently; sometimes everyday, sometimes only a few days. When I’m not anxious, I feel it isn’t really an issue. 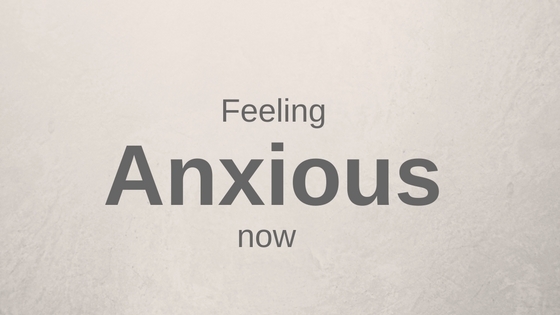 When I am anxious, I can’t think about anything except the situation I’m in and the problem I feel pressing down on me. My sister has gone to Canada to study for a year. The last few weekends of August were busy with her 21st&Goodbye party, a wedding and preparations for her year abroad and I’ve felt a mounting feeling of unease as I watched her organise her papers and pack her suitcases. I was prepared to really miss her when she left and I think being on my own has heightened my sensitivity to everyday worries I think about. I think everyone must have worries and niggles that bother them each day, but sometimes I find (most often in the evenings) that my mind takes me into overdriven panic with thoughts of worst possible scenarios. I feel sick with dread at these irrational thoughts and my hands begin to tremble as I plot many hours ahead of me strewn with ever more increasingly stressful outcomes. A great friend recommended this book by Dr Claire Weekes. It’s a fantastic guide to overcoming anxious feelings; from panic attacks to everyday anxiety, and has practical advice to help you relax. I love it because it’s very easy to read and you can dive in whenever you need a few words of reassurance. Also helpful; when things are not good, I find a dog, and give it a hug. As with everything, a little at a time, small acts move you forward. Be easy, take your time, you are coming home to yourself. 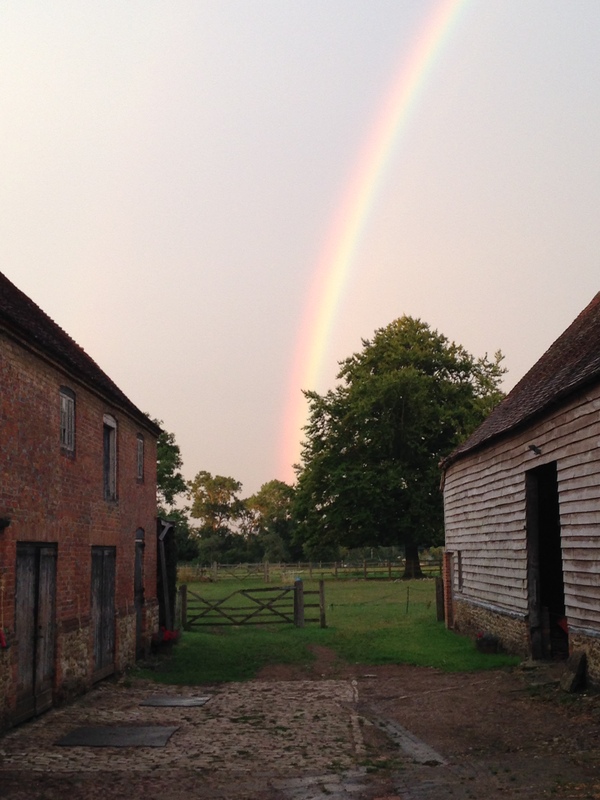 A rainbow over the yard ~ a pot of gold in the stable?